Enjoy an extensive choice of cafes, restaurants and pubs including Jarmer’s Kitchen, Loose Caboose or Red Door Bakery. There is no shortage of green spaces in and around Bowden with the River Torrens, Bonython Park and Gibson Street Reserve all within walking distance. Be in the centre of all the action – Coopers Stadium and the Thebarton Oval will be your local when it comes to live sport. numerous public transport options, bike paths and scenic walking trails. Bowden has no shortage of entertainment. Whether you’re looking for a live concert, bustling breakfast spot or an action packed sports game – you won’t have to wander far. exercise areas and quiet reflection spots all just a short stroll away. Bowden is always sure to be bustling with activity, surrounded by The Gov and Entertainment Centre and numerous pop-up markets making appearances throughout the year. Bowden residents can access a number of Adelaide’s finest schools; including Brompton Primary School and Immaculate Heart of Mary Primary School. Bowden prides itself on sustainable and artistic shopping, attracting alternative shops and quirky boutiques including The Vintage Carousel and The Adelaide Bike Kitchen. 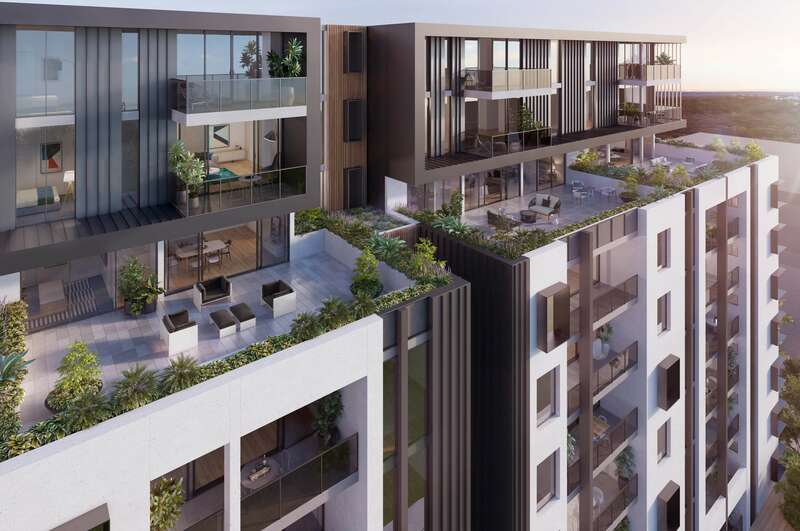 354 Bowden features modern finishes, high ceilings, walk in robes in the majority of designs, open plan living, stainless steel appliances, carparks with every apartment on offer at 354 + storage included with every apartment. All facets of modern apartment living have been included.